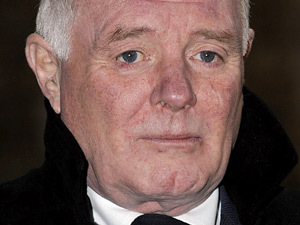 Ex-Coronation Street star Bruce Jones is speaking out against alcohol addiction and depression after fighting back against his own addiction problems. 59-year-old Bruce has fought a well-documented battle with depression and alcohol abuse. The dad of four is planning his comeback-a one-man show called “Tackling the Taboo,” which addresses the subject of depression in men. Bruce is keen to talk about his experiences and help break the stigma surrounding depression. He can identify with football legend Paul Gascoigne, currently in rehabilitation after suffering a humiliating and public fall from grace. Gascoigne was admitted started rehabilitation last month after some of his celebrity friends staged an intervention and paid for him to attend a rehab facility in the US. Depression carries a lot of stigma. Many people still refuse to believe that is disease and often think that someone just needs to “pull their socks up,” or “snap out of it.” Traditionally men are meant to be seen as the strong and silent types when, really, they are just as susceptible to depression as anyone else. An alcoholic will live in denial for a long time, feeling powerless over their inability to stop drinking. They know the difficulties it is causing them and the disastrous consequences on their life it could already be having but that won’t stop them reaching for yet another drink. A man may find it difficult to us for help finding it difficult to show weakness or express emotions that he feels he should keep hidden. Men often feel they have to conform to the traditional stereotype of the strong and silent and not talking about their feelings. This stereotype needs to be broken especially when there’s an addiction to alcohol. Talking about and addressing the reasons behind the drinking is one of the things that are vital in the recovery process. Men are particularly susceptible to turn to booze for comfort as they struggle with depression. If someone lives alone in the risk of being a heavy drinker increases. Marriage breakdown and family problems may see a man who feels his life is in crisis and turmoil reach for the bottle. Statistically men are three times more likely to become addicted to alcohol than women. For everyone alcohol dependent women there are five male. There seems to be no reverse in this trend across the UK. In fact, if anything, it seems to be increasing in these times of economic hardship. Hard times often result in higher rates of alcohol abuse as people turn drinking as a way to escape their problems. “Hidden alcoholism” is a major issue and by the time it becomes apparent that there is a problem the drinking can have been going on for longer than anyone realises. Rehabilitation is an on-going process and requires a long-term commitment, and Bruce is a great example of someone fighting back. Temptation is always there and it’s really difficult sometimes when you’re in situations where everyone else is drinking to say no. Bruce hopes his show will help reach out to people who are suffering from addiction and encourage them to seek help. Reaching out to fellow addicts can be extremely beneficial to maintaining a rehabilitation process. Addiction is a disease that can be helped.